Nothing serves as a driving force to a man who is determined to meet a target he sets at his tender age other than his passion and sheer determination to live his dreams. 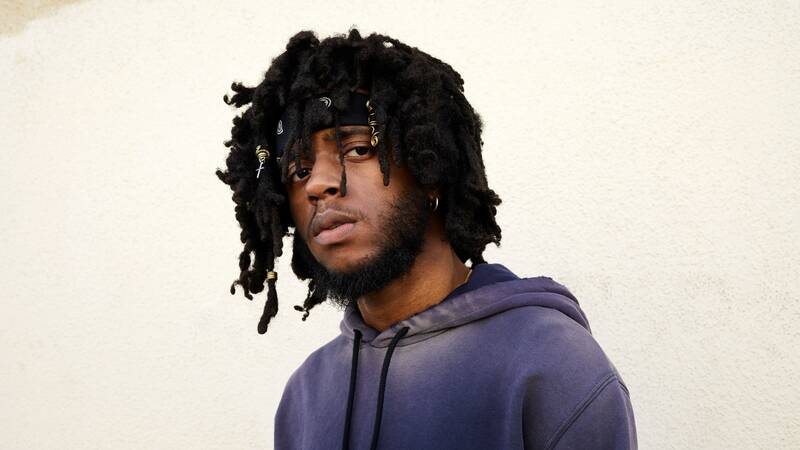 That is the story of 6lack, an African-American rapper, singer and songwriter who has grown in the music industry to be of repute like rappers: Tupac, Eazy E and Snoop Dogg among others. 6lack got familiar with the studio even as a toddler such that he even had his first recording at the age of four, thanks for his father who was in the music business and never hesitated to bring him along to learn the rudiments of the art. Like every man that has earned glory through the work of his hands, there is a story to tell and that is what will narrate to you here. The African-American rapper was not born and named 6lack, certainly, no parents will give their child such name. On the 24th day of June 1992 when he was born in Baltimore, Maryland, he was named Ricardo Valdez Valentine. His Dad was a rapper who also owned a recording studio, this was what afforded 6lack the opportunity to start going to the studio even as a toddler. In the course of time, he was able to do his first recording at the tender age of 4. Aside from his father being a musician, his mother did have a job as a dentist. She also gave birth to Ricardo’s 2 younger siblings which totaled their family number to 5. The family moved out of Maryland when 6lack was just about 5 years old, then settle in Atlanta, Georgia. He had his education his high education there before enrolling into Valdosta State University where he aspired to major in Computer science, but as fate would have it; he left the school to heed to his music call. 6lack’s line of music is based on his personal experiences as it relates love adventures in form of heartbreaks and failed relationships. He takes his musical inspiration from stars like T-Pain, Usher, Sade, and The-Dream. From the time he was in high school, he engaged in rap battles and even battled with Young Thug in one occasion. Ricardo later joined Team Flight, a like mind group that had young talented rappers but unfortunately, they severed ties and went their separate ways. After Team Flight’s disbandment, 6lack launched his solo career, by recording songs which he uploaded on SoundCloud, he, however, didn’t have many followers then. The aspiring musician sojourned and signed a contract with International Music Group and Strong Arm Records in 2011. Things didn’t pan out well with this label as he had a rough 5 years with them and would come to reveal that the label caged him and restricted his creativity. When he finally left the label, he pitched his tent with Spillage Village, a music group based in Atlanta, Georgia and featured in the four tracks of the group’s Extended Play (EP) titled Bears Like This Too released in 2015. 6lack left this group and signed with Love Renaissance and Interscope Records and thereafter got included in the list of 10 New Artists You Need To Know as released by Rolling Stone in November of 2016. He dropped his debut album titled Free 6lack which had a hit single titled Prblms. The album was released on November 18, 2016, and it peaked at number 34 on the Billboard 200 chart. The hit single Prblms also peaked at number 73 on the Billboard Hot 100 chart which also made it 6lack’s first platinum record. April of 2018 saw him release a new single he titled OTW which he featured Khalid and Ty Dolla Sign, the single peaked at number 57 on the Billboard Hot 100. His second studio Album titled East, Atlanta Love Letter was released on September 14, 2018. Prior to the album’s release, he had previously dropped two singles to support the album; Switch which came on June 22, 2018 and Nonchalant, released on August 17, 2018. His second studio album released by Love Renaissance and Interscope Records featured guest appearances of the likes Future, J.Cole, Offset and Khalid. His songs have been nominated for 5 categories of awards in the music industry, which includes Best New Artist by Soul Train Music Awards, Best Urban Contemporary Album by Grammy Awards based on his album Free 6lack and Best Rap/Sung Performance by Grammy Awards based on his single Prblms, and many others. Unfortunately, he didn’t win any of the nominations. Though he had a shambolic start to his musical journey following his first contract with a label that nearly rendered him unproductive for 5 years, he pulled through and have regained confidence to release two studio albums. 6lack has also joined The Weeknd in April of 2017 and embarked on his (The Weeknd’s) Legend of the Fall tour in North America. These and more have earned him some monies to show for it. At the moment, his net worth is estimated at the range of $600,000 to $ 1.5 million. 6lack is currently in a relationship with an American Soul Singer, Bianca Quiñones, known by her stage name Quiñ. She was born on October 29, 1999, in Los Angeles. She is popularly known for her single titled Sticky Situation which featured Syd That Kyd. Her relationship with 6lack has been very discreet and not much is known about the affair. 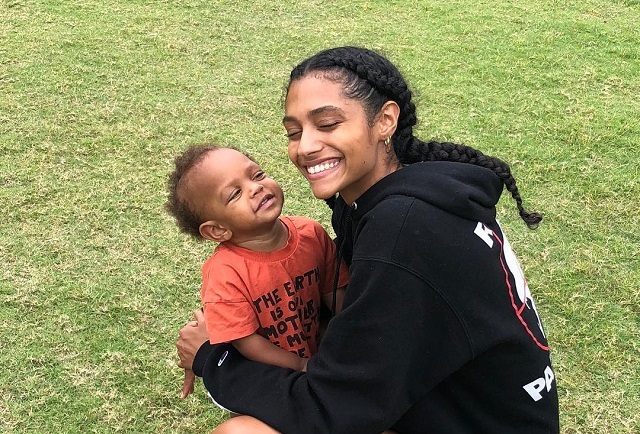 In February 2017, 6lack shared the news of the birth of Syx Rose Valentine – a daughter he shares with Detroit born African-American writer and fashion model Jaycina Almond. Syx Rose Valentine, is dotted and flaunted regularly on social media especially on Instagram pages of her father and mother. The rapper has got not just the voice with talent but the looks as well, with his dark skinned complexion and black eye. The African American rapper stands at the height of 5 ft 6 inches (1.68 m) and weighs 70 Kg (154 lbs).